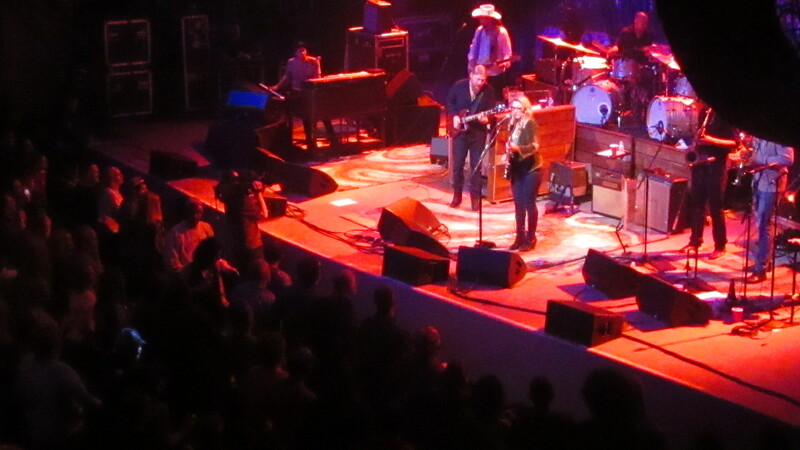 I promised myself I wouldn’t do a full review of this whole concert and I really won’t, because I’ve written about the consistently remarkable Tedeschi-Trucks Band extensively in the last couple years. So, frequent readers of this blog, bear with these remarks. But seeing the band last night much closer up than I did at Red Rocks Amphitheater the summer before last, I gotta say: Synergy, inspiration, surprise, telling detail, emotional truth and buckets of soul. Like the great sprawling Southern oak tree projected as the band‘s stage backdrop, they seem to replenish their freshness and power the older they get. Considering they’re still only a few years old as a unit, they convey a rare assimilation of the deep, entwining cultural roots that they draw from, which conveys a far greater age than their temporal years. One of the most impressive aspects of this group is that — though it gains a big, enthusiastic audience, especially at live shows, from its power and skill with rave-up type numbers — it also possesses deep, thoughtful and lyrical dimensions. And the way they often segue from a powerhouse tune directly to a quieter one like “Midnight in Harlem,” one of their trademark songs, suggests how they relate one sensibility to the other. After a loud rock-out, Trucks slid seamlessly into his slide guitar raga-esque improv introduction to “Midnight,” one of the more sublime songs in popular music today. Keyboardist-flutist Kofi Burbridge set another layer of the finely-sketched scene with his simmering organ, stoking a groove that ripples like wind through trees. Written by gifted backup singer-songwriter Mike Mattison, the song’s a concise, beautiful short story of diminished but dogged expectations, partly a testament to America’s countless forsaken, “I saw old man’s shoes, I saw needles on the ground…” midnight in Harlem, midnight in Anywhere, USA. Set in the context of a long subway ride, the narrator witnesses and deeply feels the exposed naked city yet somehow, in the face of windblown streets and the “subway closing down,” he remains steadfast, now walking, yet riding a metaphoric train of hope, a moonlit dream. 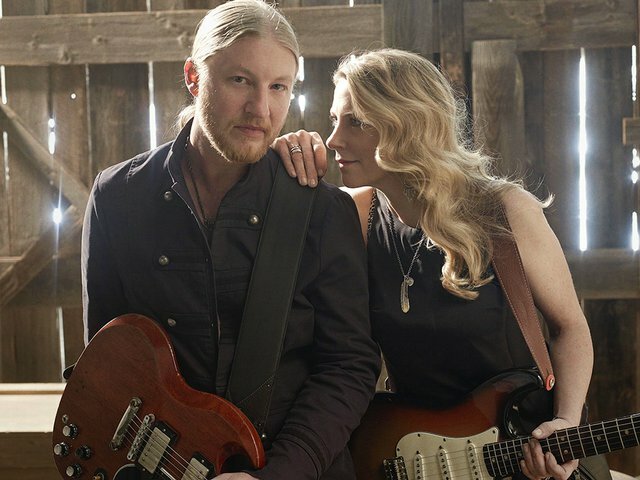 Then Derek Trucks musically pinpoints the tragedy — and the dream’s inextinguishable flame — in his magnificently-built guitar solo, like a steady fire in America’s heart. Of course, having a woman singing a song penned by a man also gives “Midnight in Harlem” gender universality. Another set highlight was “Idle Wind,” the most luminous song on their last album Made Up Mind. In the middle of “Idle Wind” arose an extended duet by the band two drummers, JJ Johnson and Tyler Greenwell, that added a feisty dimension to the song, while remaining tasteful, musical and engaging. My point is that such literary and dream-based songs serve to offset the predominant powerhouse blues, gospel and jazz gumbo that burbled throughout the concert with a rich dynamic range. They closed the set with their surefire rave up, “Bound for Glory.” The groove’s heaving, funky sway and the call to shared spiritual ecstasy is nearly irresistible, especially when they reach the refrain’s climax, where Tedeschi again attained an almost outrageous level of soul-scorching exhortation, and Trucks unleashed one of his most incendiary guitar salvos. A few words about presentation, regarding Susan Tedeschi. She knows how to display her earthy beauty with self-assurance, but without ever primping or strutting onstage, like most pop divas do today. Half the time she wears specs onstage, probably to see her guitar fret board on tunes she doesn’t have completely under her fingers. This is a serious musical artist, not a “chick singer.” Her every action and expression directly serve the music, which all authenticates her physical presence. Late in the show, two brilliant covers proved telling, one preceding “Bound for Glory” and one after, the first encore. Two covers at such a juncture in the concert suggests a lack of new material that they feel is performance-ready, but also their superb skill in cherry-picking and re-invigorating strong material in the roots music canon. The band tore into the former song, “I Pity the Fool (Who Falls in Love with You)” with lusty abandon. In1967, The Paul Butterfield Blues Band recorded ostensibly the definitive version of this old R&B song on their superb horn-powered album The Resurrection of Pigboy Crabshaw. The irrepressible Tedeschi and her big, brawling band lifted Butterfield’s take to new heights (though I’d have loved to have heard Butterfield do it live.) In the middle of “Fool,” Tedeschi ripped off the nastiest guitar solo I’ve ever heard her play, conveying the bruised defiance of the song’s jilted lover. Trucks followed with a cooler, mewling slide solo which evoked actual pity. And then the encore: “I’ve Got a Feeling,” one of the ballsiest Beatles rock ‘n’ roll songs of their late period (from the Let It Be album). Here again, the band found the “feeling deep down inside” right in their wheelhouse and knocked it out of the park. Speaking of sports references, Wisconsin winning a huge NCAA basketball tournament game to advance to the “Final Four” — right before the concert started — hardly hurt the esprit de corps of the wildly enthusiastic, sold-out crowd at the Orpheum Theater. I have no need to temper my previous assessment of this band as the best I’ve heard on tour (and on record) in today’s popular music — for their stylistic range, depth of talent and inspiration, which I’ve discussed previously in this blog. In fact, having just heard live the excellent Gregg Allman band about a week earlier, I realize how much TTB has also raised the bar for the great tradition of Southern blues-rock vernacular music, which the Allman Brothers Band once defined. “I could’ve listened to four sets of them,” she said. Special thanks to Eric Schumacher-Rasmussen and his brother-in-law Tom Clark. Gregg Allman may still be playing cards with old man Fate and he opened Wednesday night’s concert by inviting those who may have lost money in the casino to come in and drown their sorrows in some blues. But God knows Allman has drawn many bad cards in his life, and it’s nearly a miracle he survived this long, with an almost savior-like gift for rebirth and renewal. Especially in a life that’s been often gritty, unsavory and tragic, marked by the unforgettable deaths of his superlative guitarist brother Duane and Allman Brothers bassist Berry Oakley in a hauntingly similar motorcycle accident a year later, and going fatherless from age two. This Allman has borne the weight of drug addiction that very nearly killed him, and several trying marriages, including a disastrous one to pop diva Cher. So the man who played the Northern Lights Theater still has the long, blonde hair, beard and tattoos of a spiritual renegade, and many in the enthusiastic crowd perhaps felt like fellow travelers as the 67-year-old singer-songwriter-organist and guitarist transformed some of his trademark songs and put an indelible stamp on a number of blues high water marks. His unassumingly magnificent 2011 album Low Country Blues reasserted Allman’s profound commitment to the Southern blues idiom, deeply infused with gospel and strains of rock ‘n roll and jazz. 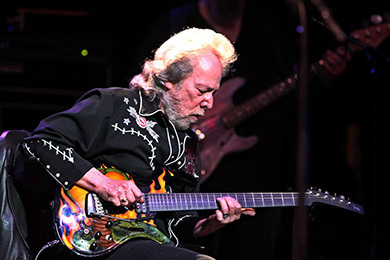 The band’s consistently imaginative light show began with an extended slide and film clip tribute to classic bluesmen from Muddy Waters to Blind Lemon Jefferson to Robert Johnson. So it was no surprise that Allman and his band really opened the floodgates of soulful passion with a stone classic T-Bone Walker song “Stormy Monday Blues,” which he recorded on the Allman Brothers’ great Live at the Fillmore East album from 1971. Allman has massaged and expanded the tune for all its worth and made it the occasion to introduce his surprise guest performer Harvey Mandel, one the most singular and compelling blues-rock guitar stylists of his generation. Though he played with Canned Heat and even the Rolling Stones, Mandel has the comparatively low profile career of a brilliant guitarist who doesn’t happen to sing. His guitar takes care of that, with one of the most thickly textural voices on the instrument. Looking gaunt and seated throughout his stint, 1 Mandel’s guitar at times it emitted curling fuzz, and diverged into searing trash-talk licks of his own sonic language, echoing thick, cavernous notes and sharp rhythmic arabesques. By contrast, Allman’s music director and lead guitarist Scott Sharrard, is highly fluent, clean-toned and passionate but comparatively conventional. Of course, having more than one top-notch guitarist is a grand Allman Brothers tradition. Right about “Stormy Monday” Allman’s muscular horn section and rhythm section pumped the classic blues lament for all its worth. What’s great about Gregg Allman is that he builds on that sense of failure, like a prizefighter, or a lonely long-distance runner. 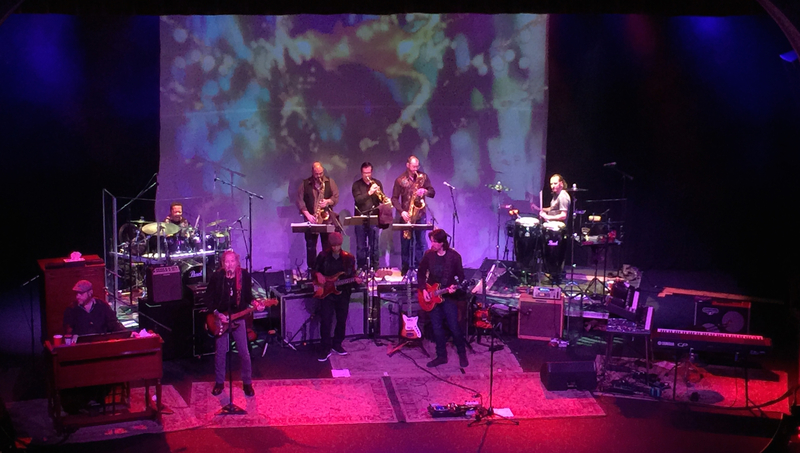 Another Allman Brothers tradition has been to liberally re-work their material as jazz musicians do. So some tunes powered-up fresh like “Midnight Rider” and the marvelous instrumental “Les Brers in A Minor” from Eat a Peach, which steamed and pulsed along like a soaring zephyr, though not quite as expansively as back in the double-dagger guitar days of Duane Allman and Dickey Betts. Still, it ended with the sort of glowing fireball of resolution that made that band something to so often savor. 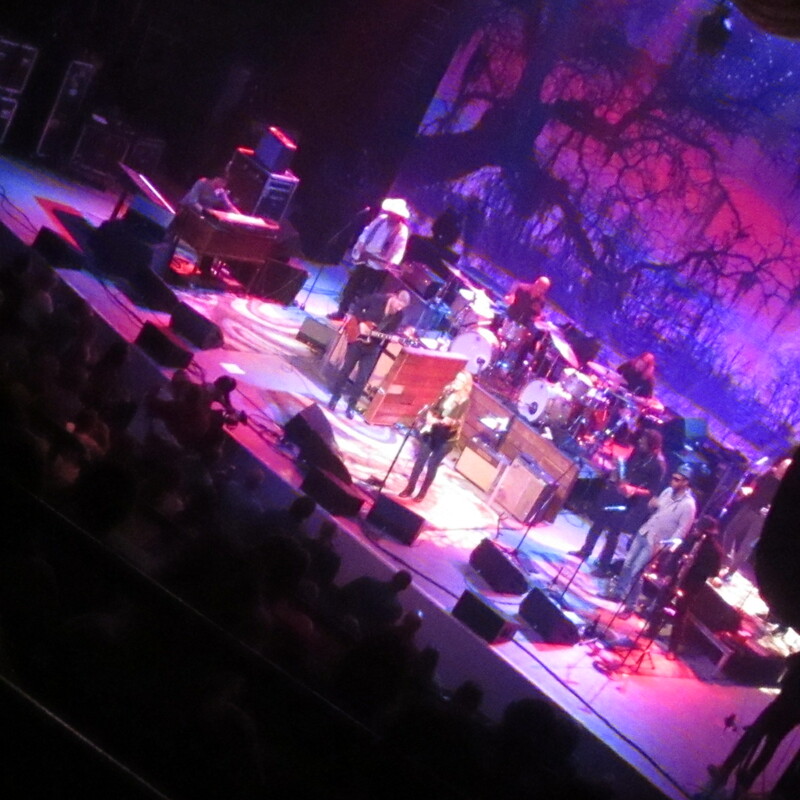 However at the gig’s end, the band’s trademark rave-up “Whipping Post” lost some of its intensity and extraordinary drama without Allman’s streaming organ (he played guitar on the song) and without the deliciously stunning paroxysm of the repeated, several-octave interval leap near the end that once electrified countless fans. Tell me I just want to re-live the good old days. It’s something all musicians who last this long must deal with. But in all, it was an excellent show with only a few technical blunders such as a bit too much bass on the acoustic tunes and, on a few songs, harsh, rhythmically flashing lights from two spots away from the stage which quickly irritated the eyes. And let’s hope that this Allman brother returns often, before the good Lord feels like he’s dying. 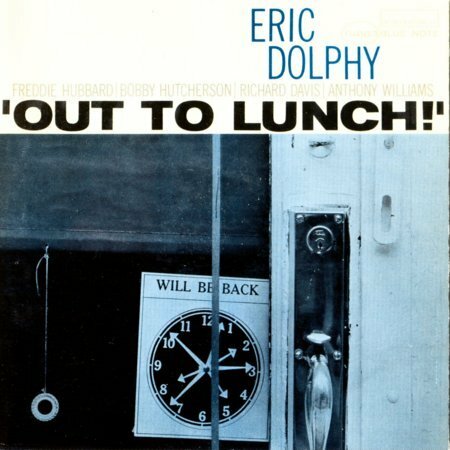 Quotidian-detailed and genius-infused, the original album merged astringent structure and sardonic expression. 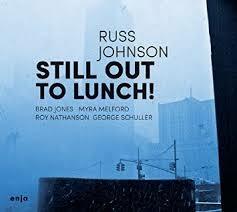 Johnson’s quintet, with pianist Myra Melford and saxophonist Roy Nathanson, forgoes reverent replication and goes for broke, the original material securely in their DNA, and freshly arranged. Johnson and Nathanson’s horn voices interplay like close brothers sharing squabbling rivalry and terse love. Also find strange beauty, in “Something Sweet, Something Tender.” Melford recasts Hutcherson’s tart gleaming-sculpture vibes with her crisp attack and pungent voicings. Plus, their reviving of two obscure but worthy Dolphy compositions, “Intake” and “Song for the Ram’s Horn,” make this a work that expands on the historical context of Dolphy’s original masterpiece. This is the best kind of jazz repertory — pushing forward — as it expands our insights on how modern jazz greats did so, not so long ago. 1 This is Johnson’s second excellent album within a year following Meeting Point, which I reviewed in the Shepherd Express, Culture Currents, and NoDepression.com. 2 Dolphy himself recorded several Schuller Third Stream pieces including “Variant on a Theme of Thelonious Monk (Criss Cross),” and another on a John Lewis theme, on the 1961 Atlantic album John Lewis presents Contemporary Music: Jazz Abstractions – – Compositions by Gunther Schuller & Jim Hall. Those two pieces are available as part of the Ornette Coleman box set on Rhino Records, Beauty is a Rare Thing: The Complete Atlantic Recordings. The complete album is available on a Rhino re-issue. 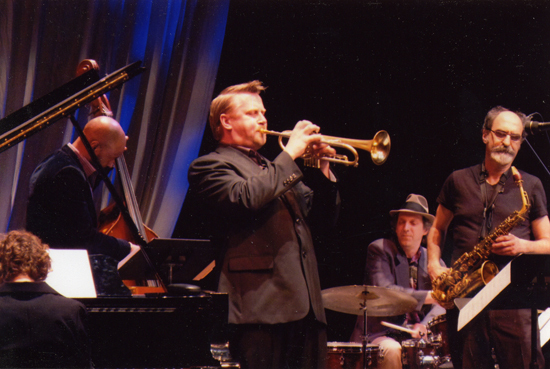 “Third Stream” music strove to blend techniques and aesthetics of modern “classical” music and modern jazz. 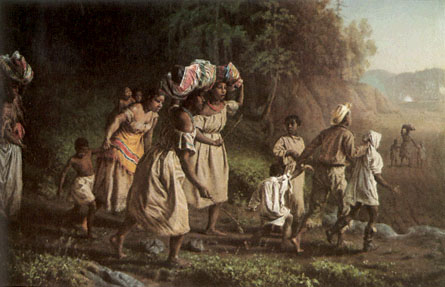 The three-foot-long rectangular box holding the fugitive slave rattled along the railway toward New Bedford, Henry Brown enduring a torment of his own devise. Who’d suspect a grown man hidden in such small crate? He made it, more than 250 miles in 24 hours. “Nothing saved him from suffocating but the free use of water…and the constant fanning of himself with his hat,” recounted his rescuer. Two dumps of the crate on his head nearly killed him. 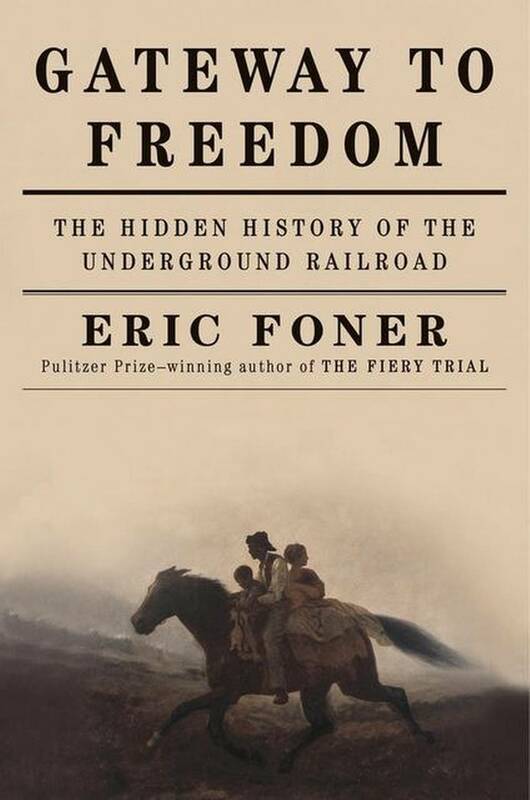 Henry “Box” Brown exemplifies the resourcefulness and courage of fleeing slaves, a theme of Pulitzer-winning historian Eric Foner’s Gateway to Freedom: The Hidden History of the Underground Railroad. The book demonstrates that the “railroad” — a loose system of slave fugitive liberation — had a grassroots interracial genesis, and spread primarily through Maryland, Pennsylvania, Virginia and Delaware, though it extended all the way to Canada. At the author’s best, the sheer number of escapes, heroes and villains carry the reader along, as if galloping through a valley of subterfuge and salvation that might also doom freedom at any time. One fugitive’s betrayal pivots on both a southbound carrier pigeon and a “stool pigeon.” The stories convey the sometimes breathtaking effect of the spontaneously growing collaboration between whites and blacks. Foner’s mother lode source was New Yorker Sydney Gay’s meticulously documented “Record of Fugitives,” more than 200 runaways he aided, including Harriet Tubman, the era’s most fearless angel of mercy. Gateway’s cumulative power sometimes clots with repetition of similar anecdotes, but one learns vividly the dogged persistence of America’s ugliest reality and the complicated passion shared by abolitionists and slaves for freedom, if not equality. 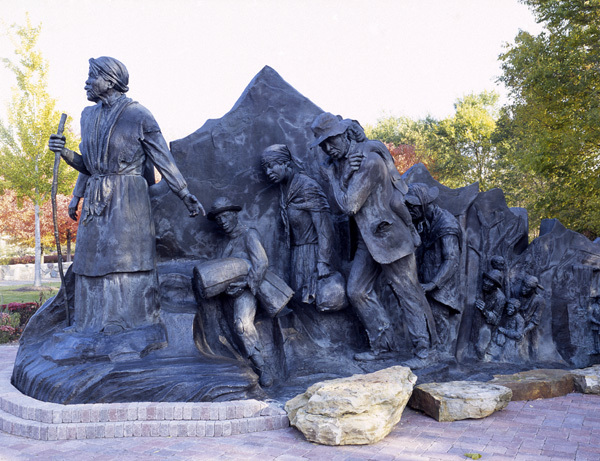 To further understand how America came to war with itself, one might try Harriet Beecher Stowe’s 1852 literary sensation Uncle Tom’s Cabin, a virtuoso feat of imaginative agitprop that helped transform American sentiment on slavery. 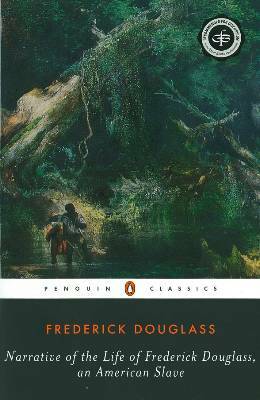 Or read the finest slave narratives, of Douglass or Henry Bibb — authentic, moving and eloquent testimonies regarding the cold-blooded lash, the brutal convoluting of “Christian” values. Foner crucially delineates the profound challenge and existential risk that engulfed an inter-racial generation as the nation thundered toward dissolution, or Civil War. 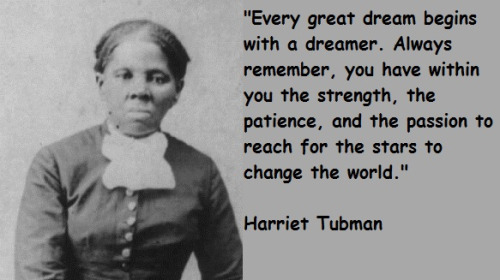 Today myriad African-Americans struggle mightily, as much of the world embraces the black cultural and social genius that emerged from slavery. Meanwhile, the Dixie-publican Tea Party — inflamed by a black president from Illinois, as was the slave-holding South by a heroic white one — burns with ancient contempt, as our political discourse and democracy suffer. Foner touches on the role that so-called “radical Wisconsin” played in the abolitionist movement, becoming the only state to declare slavery unconstitutional. Despite highlighting all the slave roles in self-liberation, Foner curiously neglects naming Joshua Glover, the slave who was rescued by a Milwaukee mob led by Sherman Booth. 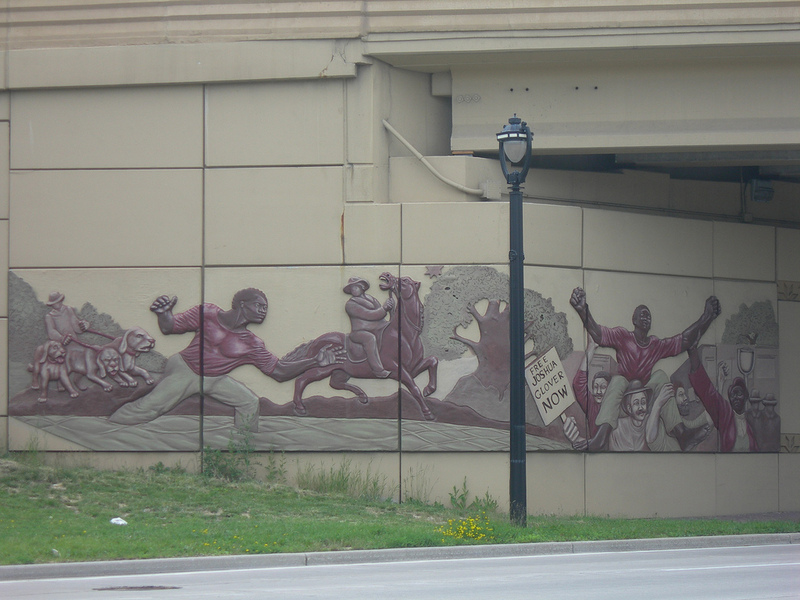 There are several memorials to this liberation effort including this mural on the Interstate 43 overpass in Milwaukee (above) and a sign at the place on Booth Street and Glover Street in Riverwest where Booth provided a safe house for Glover.